A 10-year labor of love. That’s how Jeanne Burke O’Fallon ’69 referred to Jane Cannon’s recently-published book on the history of the Academy. 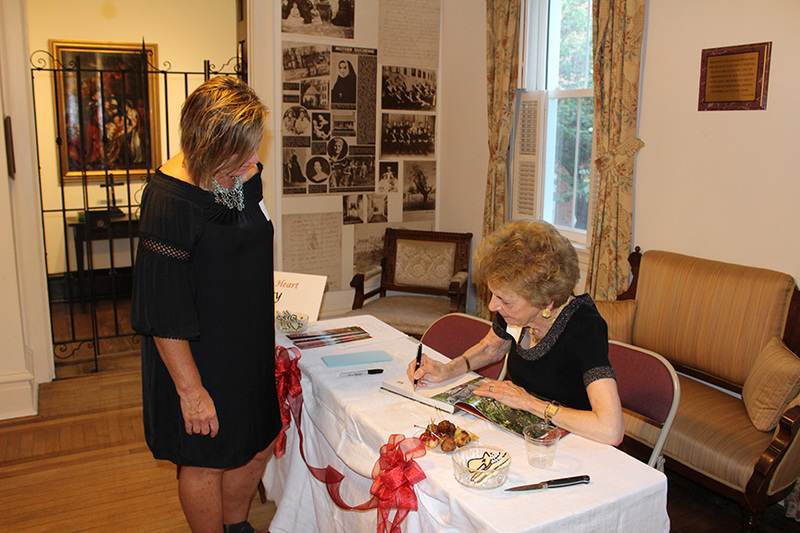 Jane Cannon presented highlights from her book at a reception Aug. 29 at Maryville University . 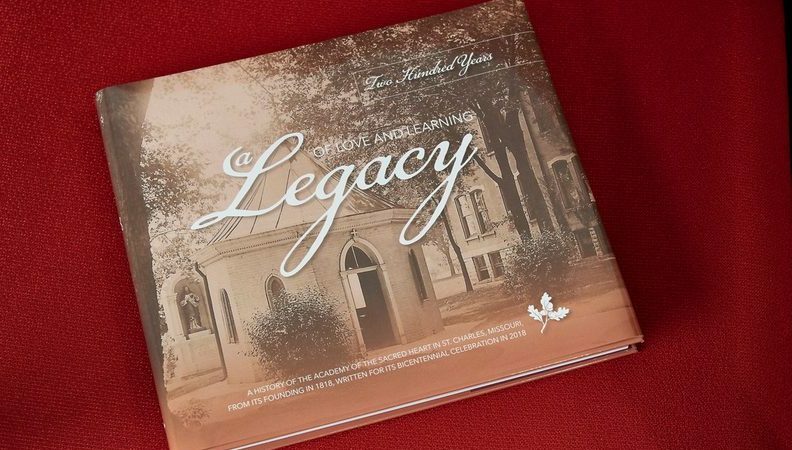 Two Hundred Years: A Legacy of Love and Learning spans 15 chapters and includes sketches of some of the most memorable RSCJ associated with the Academy, as well as lyrics of Sacred Heart songs and quotes about St. Charles from former students and from nuns who taught here. Archival photos help illustrate the story, providing a fascinating look back at the facilities, uniforms, statues, artwork, traditions and much more! 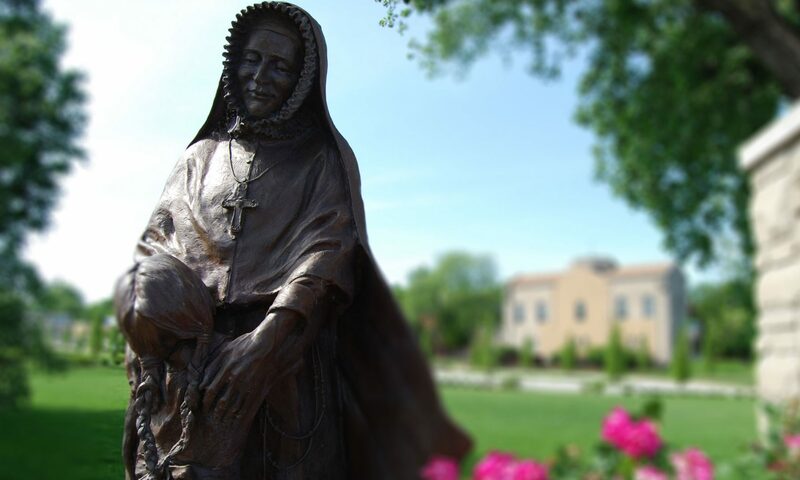 This publication has been underwritten by Mrs. Cannon’s alma mater, Maryville University, founded in St. Louis by the Religious of the Sacred Heart in 1872 and still carrying out the broad vision and mission of St. Philippine Duchesne. Click here to pre-order copies of the book. Mrs. Cannon signed books during the Home to the Heart reception. 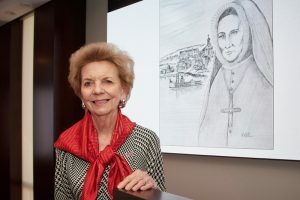 Maryville University underwrote the Academy history written by Jane Cannon with a gift of $25,000. 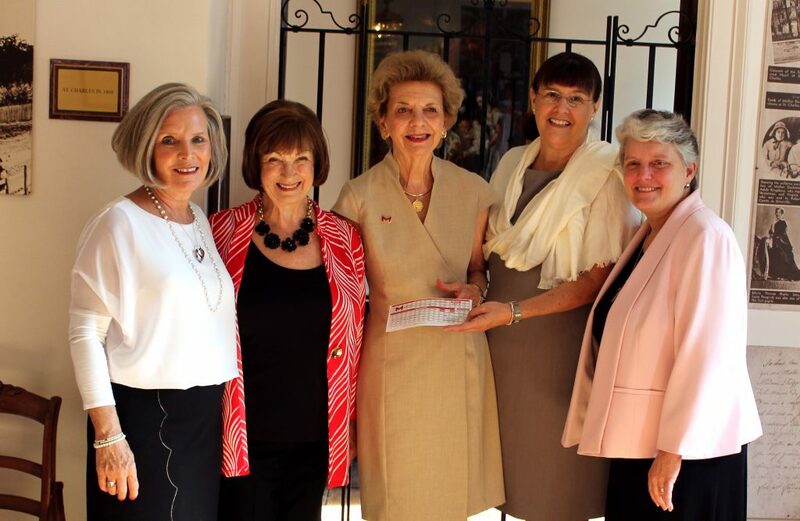 From left to right: ASH and Maryville alum Jeanne Burke O’Fallon ’69, Maryville Alumni Director Erin Verry, author Jane Cannon, Academy Head of School Dr. Susan Dempf, former Head of School Sister Maureen Glavin.